Rural properties area part of a special market that requires knowledgeable, dedicated appraisers. Rural properties can be difficult due to their size, location, and wildlife, not to mention their own individual markets (farms, cottages, ranches, etc.) Knowing The Area It is important to find an appraiser who knows the general area, not just for comparable sales, but also what makes it desirable to live in the area and also how to get there. Land & House Values Often, for rural properties, the value is in the land and what it can provide, rather than the house that sits on it. An appraiser who can appropriately value the land, house, and amenities, can mean the difference between a successful sale or a long-term, market sitting property. Animals Appraisers often meet a wide variety of wildlife on their job and that knowledge can be beneficial when it comes to the appraisal. Many people who choose rural life do so for the quiet and attractive natural scenery. 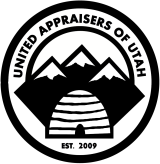 When it comes to picking an appraiser, you want one who knows the city area as well as the rural side. We’ve been in Salt Lake Valley for many years and pride ourselves on knowing the ins and outs of it. To schedule an appointment, or for more information, please contact us.